Life is busy and stressful. Living in the 21st century has forced us to try and accomplish more than we can possibly do in a 24-hour period. Our society breeds an 'on-the-go' lifestyle, and it can become overwhelming quickly. Deadlines! Kids! Work! School! Errands! Cleaning! Bills! The list goes on. The amount of stress we're experiencing on a daily basis is leading to some very detrimental short-term and long-term health consequences. Don't lose hope though, because you can do something about this. Let's take a closer look at stress, what it means, how it affects us, and what we can do about it. The key to managing stress comes down to calming your thoughts and your mind. You can do this by controlling how you breathe. Taking long, deep breaths when you feel stressed eases the anxiety and tension in the body. Learning how to control your breathe will help you manage your thoughts more effectively, leading to a natural reduction in stress. You also need to focus on peaceful or calming thoughts to effectively manage stress. This allows you to slow down your body and return to a non-stressful state. It's easier said than done though, especially if you don't regularly practice destressing exercises. So how do you do this? 1) Meditation - A self-directed practice for relaxing the body and calming the mind. Headspace - Helpful tips and tools for perfecting the art of meditation. 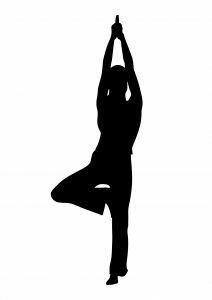 2) Yoga - Type of exercise that involves moving your body in ways that strengthen your muscles and finds inner peace and harmony. Yoga Journal - Learn the basics of yoga, watch video tutorials, and more. 3) Tai Chi - Chinese system of slow meditative physical exercise designed for relaxation, balance, and health. Everyday Tai Chi - Overview of tai chi with useful links and resources. 4) Get a Massage - Reducing tension in your muscles will naturally lead to a calmer mind and relaxed state. 5) Listen to Music - Let your favorite artist whisk away your stress for the day. 6) Exercise - Exercise is a sure and proven way to reduce tension and stress in your life. 7) Hypnosis - Helps you find a state of deep relaxation and opens up your mind to clear away any built-up tension. 8) Social Support - Spending time with close family and friends can do wonders for clearing your mind from the stress everyday life. Talk to people that are close to you and enjoy a few good laughs along the way. 9) Think Positively - You can't control everything that comes your way in life, but you can control how you react. 10) Writing - Keeping a journal to help you stay in touch with your emotions. Writing is a great way to release anything that's been bottled up inside, providing you freedom and clarity to move forward in life. More specifically, consider starting a gratitude journal, where you list everything you're grateful for on a daily basis. It may not change your circumstances in life, but it will most certainly change your attitude and outlook on life. 1 Chandola T, Brunner E, Marmot M. Chronic stress at work and the metabolic syndrome: prospective study. BMJ. 2006;332:521-525. 2 Orth-Gomér K, Schneiderman N, Wang HX, Walldin C, Blom M, Jernberg T. Stress reduction prolongs life in women with coronary disease: the Stockholm Women's Intervention Trial for Coronary Heart Disease (SWITCHD). Circ Cardiovasc Qual Outcomes. 2009 Jan;2(1):25-32. 3 Nidich SI, Rainforth MV, Haaga DA, Hagelin J, Salerno JW, Travis F, Tanner M, Gaylord-King C, Grosswald S, Schneider RH. A randomized controlled trial on effects of the Transcendental Meditation program on blood pressure, psychological distress, and coping in young adults. Am J Hypertens. 2009 Dec;22(12):1326-31. 4 Attari A, Sartippour M, Amini M, Haghighi S. Effect of stress management training on glycemic control in patients with type 1 diabetes. Diabetes Res Clin Pract. 2006 Jul;73(1):23-8. 5 Holm KE, Bowler RP, Make BJ, Wamboldt FS. Family relationship quality is associated with psychological distress, dyspnea, and quality of life in COPD. COPD. 2009 Oct;6(5):359-68. 6 Brydon L, Walker C, Wawrzyniak AJ, Chart H, Steptoe A. Dispositional optimism and stress-induced changes in immunity and negative mood. Brain Behav Immun. 2009 Aug;23(6):810-6. 7 Linton SJ. Does work stress predict insomnia? A prospective study. Br J Health Psychol. 2004 May;9(Pt 2):127-36.